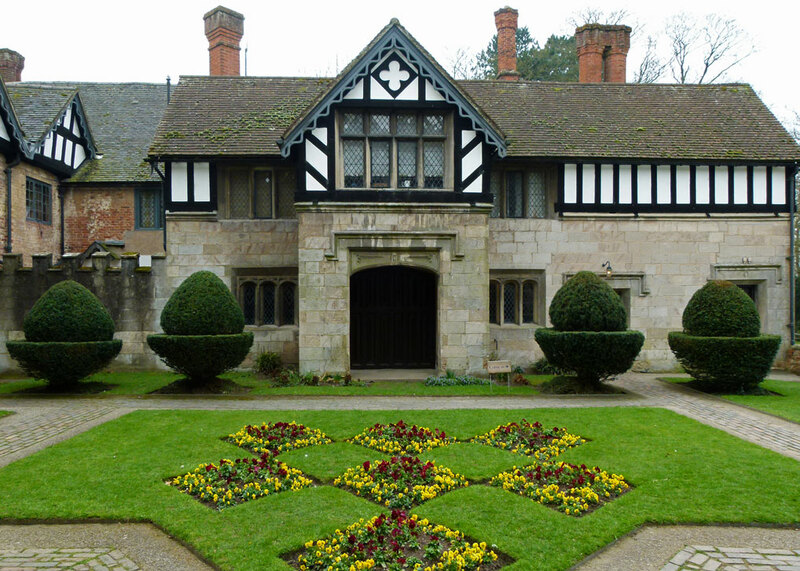 The house at Baddesley Clinton is a neat example of medieval-Victorian style. Fortunately, successive owners were never what you might call filthy rich. Had they been, doubtless another Jacobean or Georgian pile would have been constructed (really, don’t we have quite enough of those already?) and a delightful moated manor house would have been lost, absorbed into the larger mansion, demolished or, at best, left to morph into a romantic ruin like old Scotney Castle. So there it sits, tucked away in rural Warwickshire, all picturesque and cosy-looking, making you imagine having a family Christmas there. 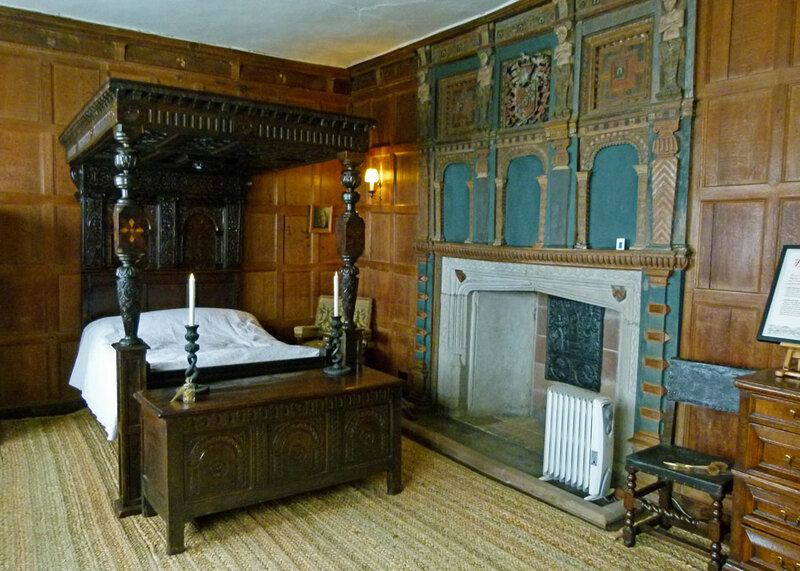 However, Baddesley Clinton is not as innocent as it seems. 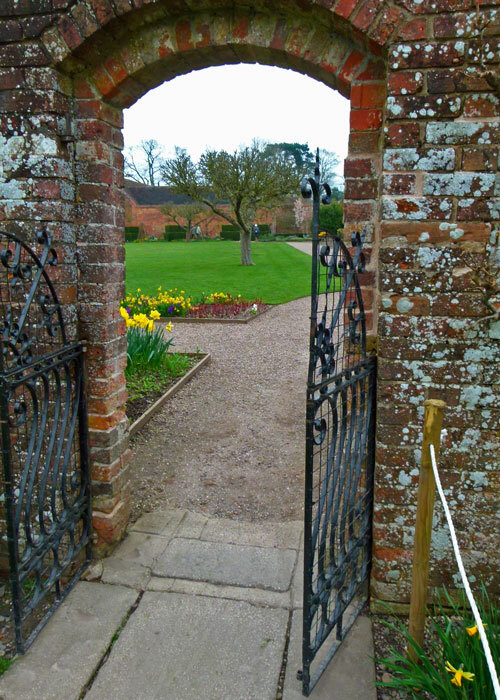 For much of its life, Baddesley Clinton was a model working manor. Its roots lie long in the past, when a mostly forgotten Saxon called Baedde had a clearing – ley – in the ancient Forest of Arden. Baedde’s Ley was a manor at the time of the Norman Conquest, by which time it was owned by someone called Leuuinus. 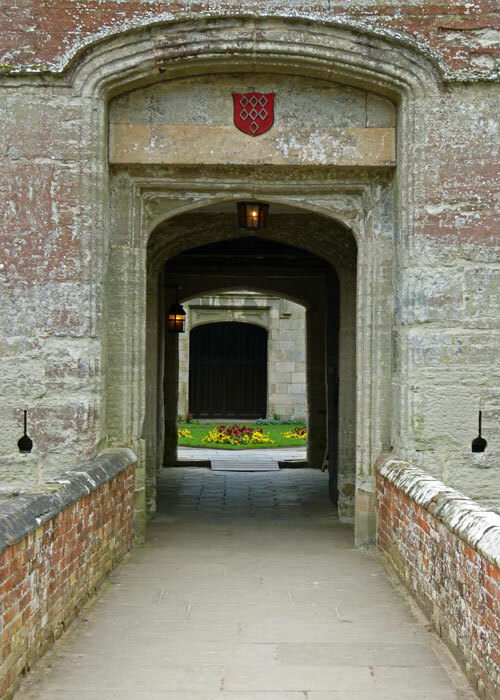 But the conquerors made a property killing, and Baddesley was one of twelve manors in Warwickshire alone granted to a Norman knight, Geoffrey de Wirce. 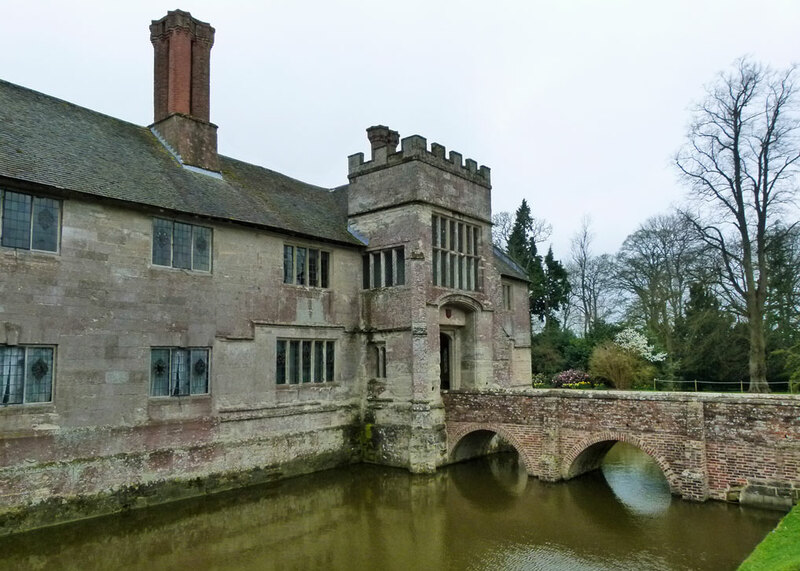 By the late 13th century, Baddesley had been acquired through marriage by Sir Thomas de Clinton and it was he, or one of his immediate successors, who added Clinton to the name and constructed a moated house on the site. Actually, at one time, Baddesley Clinton probably had a second moat as well as the one that has survived to this day. Anyway – in 1438 Baddesley Clinton was bought by a wealthy lawyer from Warwick, John Brome, who became under-treasurer to King Henry VI. Brome initiated many improvements to the estate and rebuilt much of the house with stone quarried nearby from his own land. And it’s with the Bromes that the history of Baddesley Clinton starts to get a bit juicy. Curious, indeed. No one knows why Thomas should find the assault on his father so amusing and, from what I can make out, Thomas himself died in 1486. 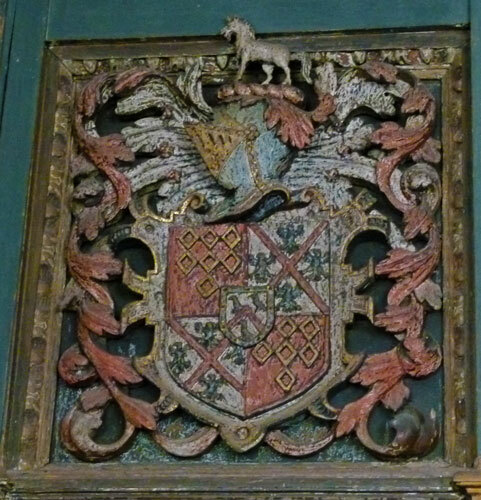 It was John’s second son, Nicholas (born 1450), who inherited Baddesley Clinton and who avenged his father’s death. By all accounts, Nicholas sought out Herthill in 1471, drew his sword, they fought, and Herthill died. Nicholas’s punishment was apparently to have a priest say daily prayers for the souls of his father and John Herthill in Baddesley Clinton church, and to pay Herthill’s widow, Elizabeth, 33 shillings and fourpence (about £1.67 in today’s money). Clearly, you could get away with murder relatively lightly in the 15th century, though these were, to be sure, uncertain times. It seems that Nicholas struggled with self-control, however, because some years later he bumped-off the local vicar. According to his descendent, Henry Ferrers (the Antiquary) Nicholas “slew ye minister of Baddesley Church finding him in his plor (parlour) chockinge his wife under ye chinne” (a euphemism for flirting with her, apparently). It is said that a stain in front of the fireplace, in what is now the library, marks the spot where the randy priest went to meet his maker. It would have terrified anyone. 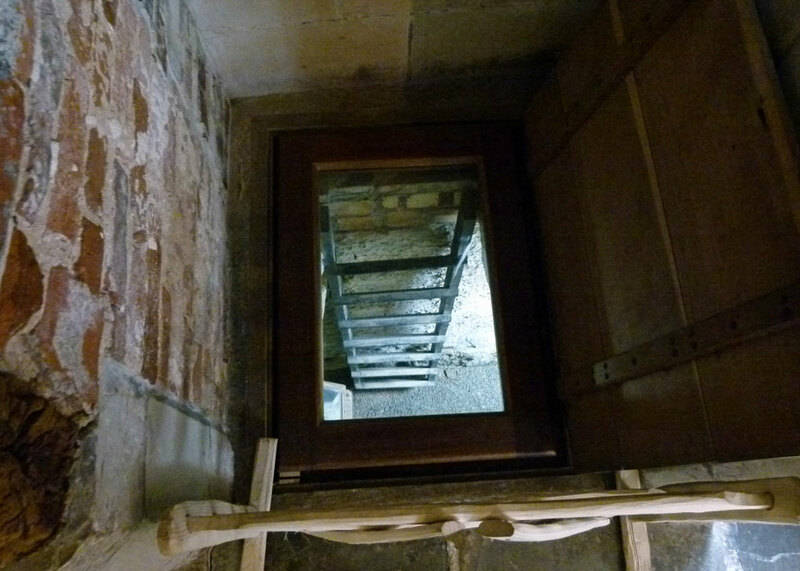 To make amends for his shocking lack of restraint, Nicholas built the steeple at Baddesley Clinton church and raised the walls (roof) by ten feet. That’s alright, then. Maybe that was why, astonishingly, he was pardoned by the King, Henry VII, as well as the Pope. You might think that Nicholas was deeply ashamed of himself, because he directed that, when his time came, he should be buried standing up in the entrance to the parish church, so that everyone passing through would tread on his head. And, if you visit St Michael’s (originally St James’s), Baddesley Clinton, just a short, pleasant, walk from the house, and move the door mat to one side, you’ll find a simple marker underneath – “Nicholas Brome, 1517”. This is a Victorian marker; I believe the original was a large marble slab with a brass effigy of Nicolas, clad in armour, on it. Does that suggest a humble, penitent, man? I think not. Nicholas had no male heir, so Baddesley Clinton passed, via his daughter Constance, to her husband, Sir Edward Ferrers (c1468-1535). It was to remain in the Ferrers family for the best part of 500 years. Sir Edward’s great-grandson, Henry (1549-1633), inherited in 1564 and carried out extensive improvements to the house. 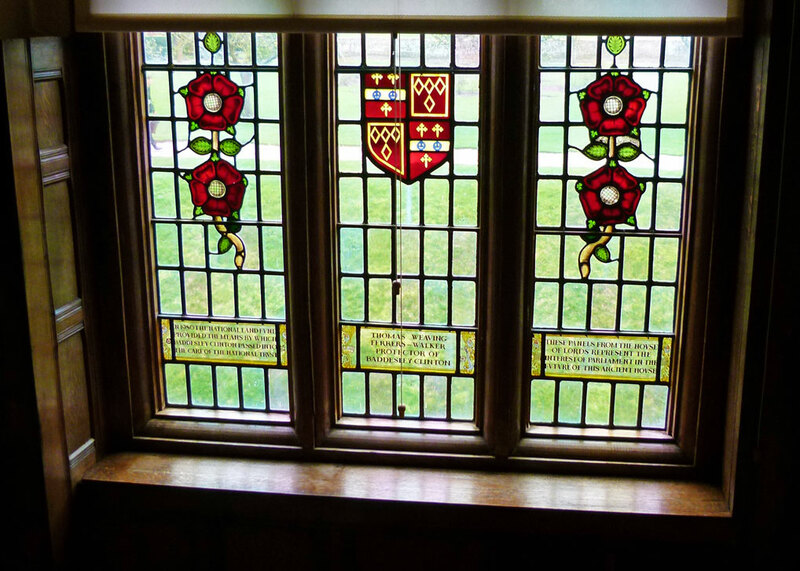 Henry was ‘the Antiquary’ referred to above, a keen and much respected family and local historian, who installed the oak panelling and heraldic stained glass that are hallmarks of the house today. He studied law and was a member of the Middle Temple; he was also somewhat hard-up and a Roman Catholic. It was illegal in the England of Elizabeth I to celebrate or perform any Catholic rite. The law also obliged Catholics to attend Protestant church regularly – those that refused were known as recusants. Most Catholics, often called ‘Church Papists’, made a public show of toeing the official line, whilst secretly maintaining their own faith – often going to extraordinary lengths to do so. The issue for English Catholics was that they could not recognise that supreme spiritual authority was vested in the Crown and simultaneously believe it lay with the Pope. Thus, Catholics could easily be guilty of treason – more so after 1570, when the Pope excommunicated Elizabeth. In the 1580s, disciplined, educated, Jesuit priests and other missionaries arrived in England, intent on maintaining, and maybe restoring, the Old Faith. The authorities regarded these individuals as, as best, seditious; at worst, agents of foreign powers such as Catholic Spain. Under an Act of 1584, any Catholic priest remaining in the country could be deemed guilty of high treason and it became a crime to harbour one, or fail to inform the authorities of the presence of one. Father Garnet was executed in 1606: sentenced to the terrifying end of being hanged, drawn and quartered, his death was hastened by sympathisers pulling on the rope, thus preventing his emasculation whilst he still lived. Father Gerard was captured, tortured, but escaped. Nicholas Owen died under torture in 1606. 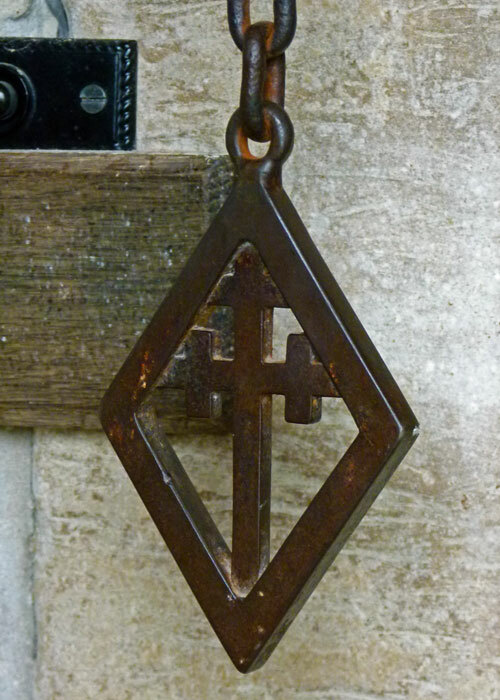 Two further priests believed to be hiding at Baddesley Clinton that day were also later executed: Father Southwell was hanged in 1595 and Father Oldcore was hanged, drawn and quartered in 1606. Those that died in 1606 were accused, probably unjustly, of being implicated in the 1605 Gunpowder Plot (though Garnet certainly knew about it through the confession of the ringleader, Robert Catesby). Henry Ferrers was apparently ignorant of the use that Anne Vaux was putting his house to. A lucky man – he also sold the lease on his London house to Thomas Percy, one of the Gunpowder Plot’s main conspirators; Guy Fawkes used that house for the storage of gunpowder. All of this seems to have passed Henry by. 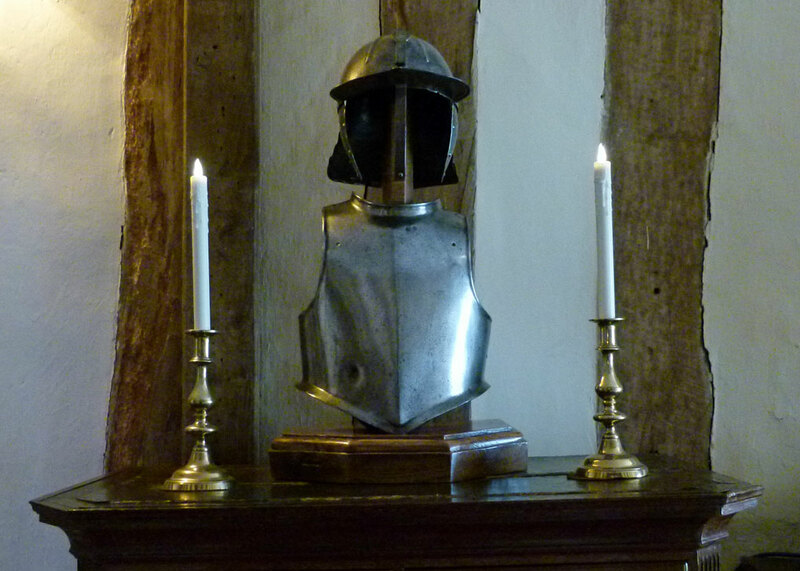 He appears to have returned to Baddesley Clinton and lived his years out there in peace, though heavily in debt. Somehow, the Ferrers managed to avoid getting mixed up in the Civil War (1642-51) and the estate also survived relatively unscathed. But cash was short. Edward Ferrers, who inherited in 1712, married an heiress and was able to construct outbuildings, such as a coach house, stables and barn, as well as in-fill timber-framed walls with brick. It was he who installed the brick bridge across the moat, still in use today. His son, Thomas, made some improvements too. However, the next remarkable phase in Baddesley Clinton’s long life came in 1830, when the estate was inherited by Marmion Edward Ferrers (1813-84), almost a caricature Victorian squire, in velvet breeches and cloak, with Charles I facial growth and a benign manner gently removed from the vigour, industry – and probably the reality – of the age. We now also need to introduce the talented Rebecca Dulcibella Orpen, born in 1830, who lived in County Cork with her aunt Georgiana, the widowed Lady Chatterton (b1806). Captivated by Rebecca was the wealthy Edward Heneage Dering (b1827), who sought permission to marry her from her middle-aged, somewhat deaf, aunt. Georgiana misunderstood the request, thought that Edward was asking for her own hand, and Edward was too much of a gentleman to correct the error; so he married her instead, in 1859. Marmion married Rebecca in 1867 and, within two years, the Derings were invited to share Baddesley Clinton, Edward meeting many of the estate’s expenses and paying off debts. The two frankly eccentric couples became known as ‘the Quartet’ and set about creating a unique idyll – their idea of an old English, but Catholic, country house, rooted firmly in another age. The Derings were both romantic novelists and Rebecca was a painter – her work fills the house to this day. Baddesley Clinton became a centre for literary activity, while the affairs of the world barely troubled it. 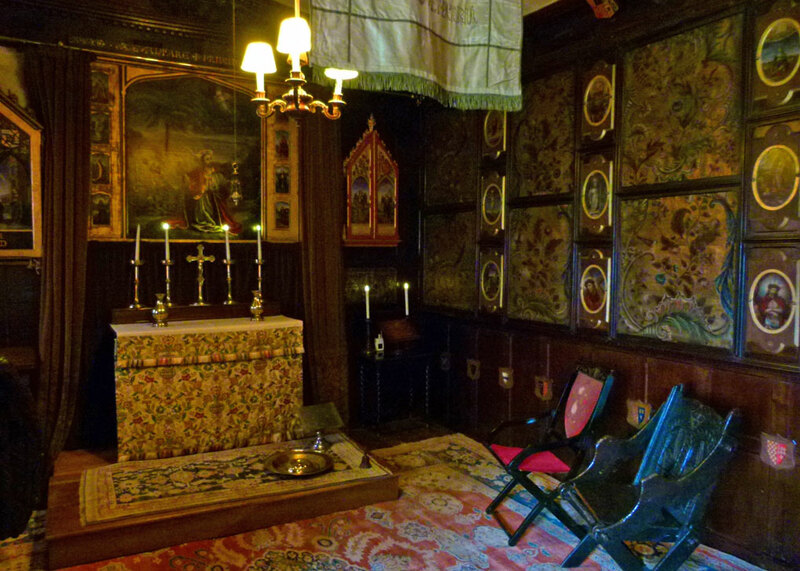 The Quartet gradually restored and improved the house, including recreating an astonishing chapel on the first floor. Georgiana obtained panels of antique Spanish leather for the walls and the two women both painted some exquisite artwork for it. The four did not have long together, though, because Georgiana died in 1876. Marmion passed on in 1884 and, in 1885, Edward finally married his Rebecca. You do wonder what was going on all that time, don’t you? Sadly, Edward went in 1892 and Rebecca, the survivor, the anachronistic Lady of the Manor, saw out her days there until 1923. The estate was inherited in 1923 by Marmion Ferrers’ great-nephew, Edward Ferrers (1881-1934), who in turn left it in 1934 to his younger brother Cecil, who in 1940 sold it to a distant relation, Thomas Walker, who later adopted the name Ferrers. Thomas and his wife, Undine, devoted themselves to restoring the house, re-creating the sacristy and doing a great deal of the work, such as stripping paint, themselves. Their son, Thomas Weaving Ferrers-Walker, carried on their efforts, but sold the estate to the Government in 1980, which subsequently conveyed it to the National Trust. Baddesley Clinton is situated in an affluent part of the world, about 8 miles north-west of historic Warwick and only about an hour’s drive from the sprawl of urban Birmingham. If you’re heading north-south, as I was when visiting, it’s a good place to break the journey. 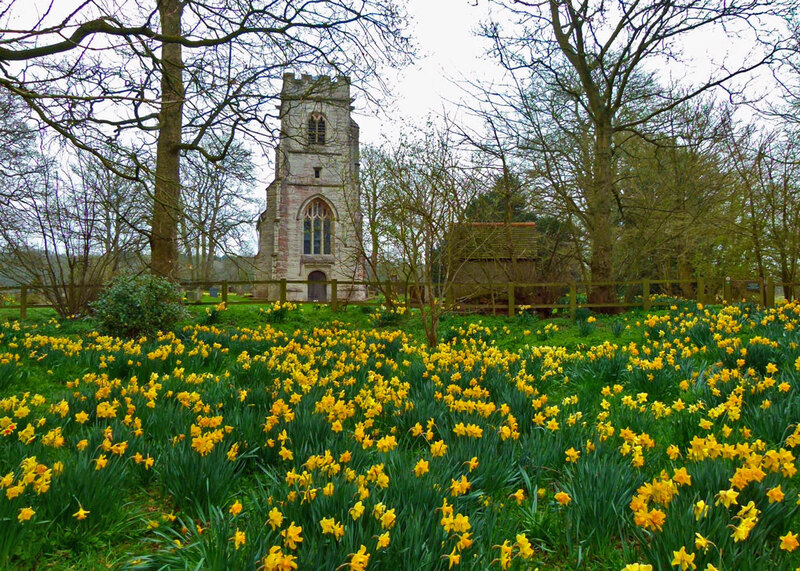 I began by strolling to St Michael’s church, past gentle woodland surrounded by a sea of daffodils. I’m more of a tulip man myself, but it was delightful. And St Michael’s is a treat. 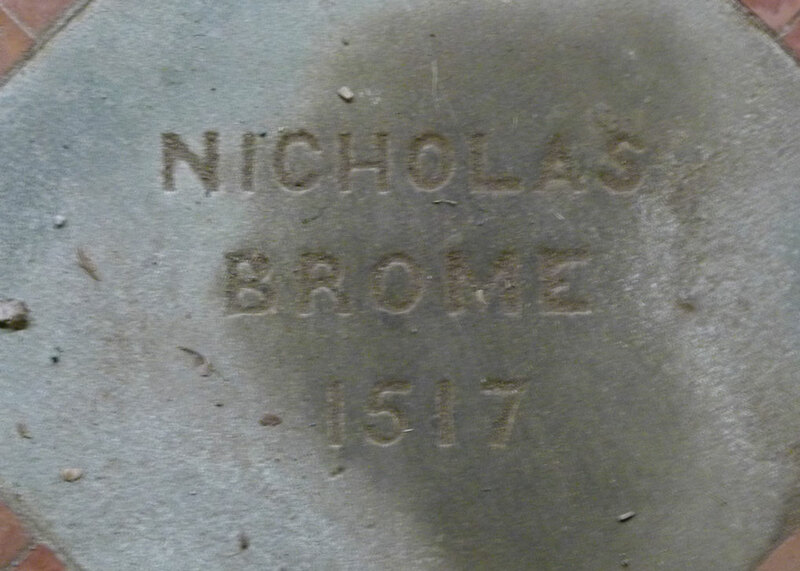 Nicholas Brome’s tower is still there, as you can see, and the mat was duly moved to expose his grave marker. In the chancel is a large slab dedicated, in the words of Marmion Ferrers, to twelve consecutive generations of the Ferrers family; it felt like their church. Weather and the time of the year meant there wasn’t much to see in the gardens, though huge fun was had trying to outpace three pushchairs, line abreast and occupied, being powered with potentially lethal determination around the Great Pool by obviously charming, but somewhat distracted, young mums. They should introduce licensing, that’s what. 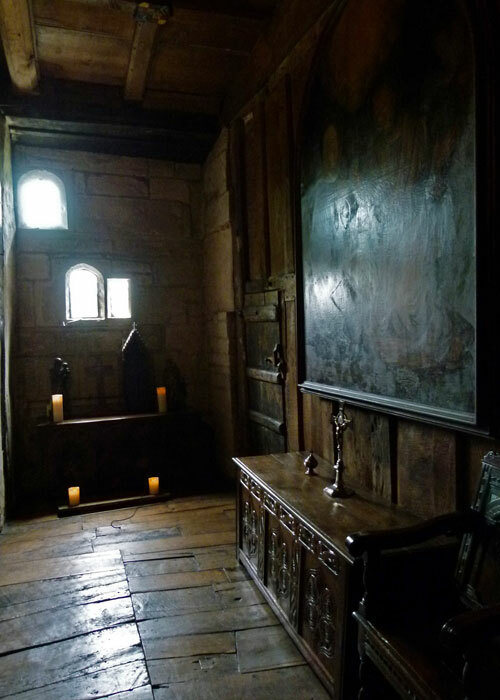 Alas, the house was being re-wired, so a great many rooms were inaccessible on the day, including the Great Hall, which was covered with dust-sheets, and the Library – allegedly haunted, presumably by the murdered vicar. It was also not possible to see many of Rebecca’s paintings. This merely provides an excuse, if needed, for Baddesley Clinton revisited. As a member of the National Trust, entry is included with the annual membership fee – but I trust other paying guests received a substantial discount – but I bet they didn’t. I assume the work was the reason that entry was via the tradesmen’s entrance, not a door I normally use, as I pointed out to the bewildered NT attendant. The room guides at Baddesley Clinton are in fact a most agreeable bunch; they have a lovely, easy-going, way about them and are immensely knowledgeable. It makes such a change from being glowered at by representatives of the living dead, who breathe disapprovingly and give off waves of naphthalene as you pass. One of the guides at Baddesley Clinton was Welsh and particularly chatty; we swapped recommendations of Places to Visit. What did I do with all the photographs I took, she wanted to know? I explained about the A Bit About Britain project. She was politely enthusiastic, so I hope she has found this piece, approves and tells her friends. For a relatively small place, there’s a lot to take in at Baddesley Clinton. On the surface, it delights with its general air of cosiness, the ornate fireplaces, heraldic glass, wood panelling and portraits. It is, of course, both a part of as well as a witness to our history. Thanks to its owners, including the present ones, it feels like a family home. Then, you wonder, which family? They’re all there, somewhere, y’know – the eccentric Quartet, the Ferrers, the Bromes – I daresay, if you looked hard enough, you might get a sense of the de Clintons, or maybe even old Baedde himself. Now that one is quite the story, and quite the place! I thoroughly enjoyed all the history behind this manor, especially what happened during the Earl of Warwick’s time, as I’m currently reading a book about that complicated period. A fascinating post and place as always! Fascinating. If houses could talk … We are a violent species, aren’t we? What a simply fascinating place. Your photographs that accompanied this piece were lovely too. Hi Mike – what a great place to be told about – thank you .. I shall enjoy visiting sometime – but definitely need to be back to read this again … that Quartet – you could make a film … but fascinating history … and I want to visit when it’s welcoming not covered in dust sheets! Had a quick browse around, you certainly get about. Amazing history, certainly somewhere I would take a look at if I am ever that way. I love to visit places like this; places that have been loved and really lived in. The history associated with the house is wonderful but because it was a Roman Catholic house it’s also a sad and shameful history too. So many horrific deaths for those faithful people. 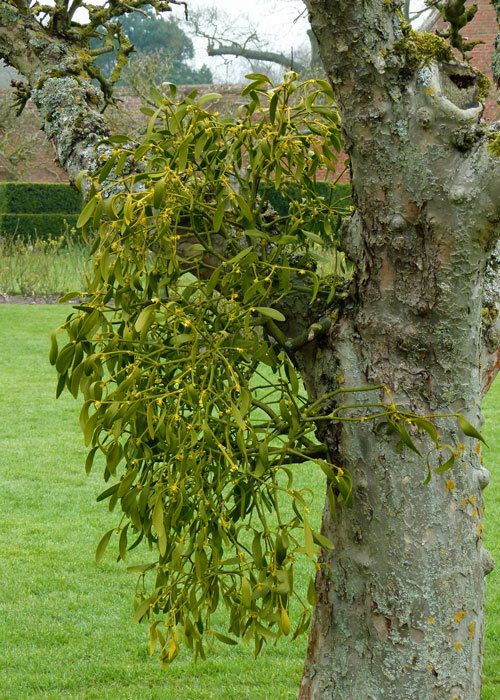 I was pleased to see the photo of the mistletoe! Baddesley Clinton is always well worth a visit. I am hoping to visit another nearby property with priest holes, this weekend depending on the weather. Love this place, have visited numerous times and would move in tomorrow if I could. What an engaging and perfectly fascinating article, Mike. I loved it. I confess I am a bit sorry that the NT owns the house now – not because I am ungratefui to them for all the wonderful work they do (quite the contrary) but because I do love houses that somehow against all the odds have managed to hang on with their owners, and are still proper homes, albeit the type of homes few of us will ever have. I must say I do wonder exactly what went on with the Quartet, but perhaps those were more innocent times…. Such a fascinating bit of history, again. That quartet – modern wife swapping you think? A complicated history- Nicholas Brome especially- but a peaceful, lovely place today!